This modo tutorial offers instructions on how to create a simple scene with a basic photographic lighting setup as well as how to create some simple glasses using bezier curve and sweep operator tools. This guide also presents an overview on material and shader creation using the modo Shader Tree to render glasses and liquids. 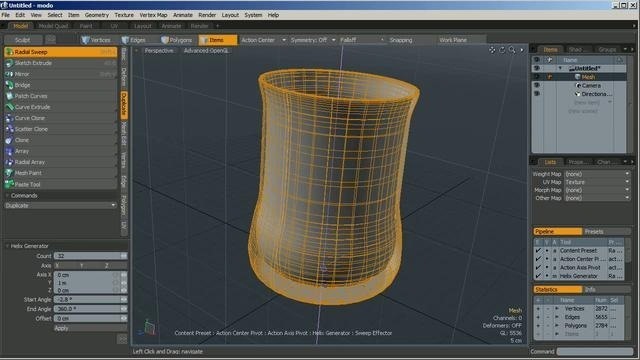 Whether you're new to Luxology's popular 3D computer graphics application or are a seasoned digital artist merely on the lookout for new tips and tricks, you're sure to be well served by this free video modo tutorial from the folks at CG Cookie. For more information, including step-by-step instructions, take a look!